Dr. Wei Wei Qian. Acupuncture & Chinese Medicine. – Acupuncture & Chinese Medicine. Moonee Ponds. Dr. Wei Wei Qian. Acupuncture & Chinese Medicine. Wei Wei Qian trained in Hangzhou, China for 5 years in Traditional Chinese Medicine, where she then worked for 7 years at the Red Cross Hospital. There, she practised Acupuncture and herbal medicine in the department of gynaecology. Wei Wei has also practised internal medicine and orthopaedics and has taught Acupuncture to Western students. Wei Wei focuses on the treatment of fertility problems and gynaecological disorders. PMS and menopausal symptom sufferers find her treatment especially beneficial. Wei Wei’s extensive clinical experience assures an optimal outcome for most conditions that have been challenged by more mainstream approaches. Wei Wei also performs cupping which is known to improve circulation and reduces the effect of toxins on the body. Wei Wei Qian is a Chinese trained medical doctor in Acupuncture and Chinese Herbal Medicine. 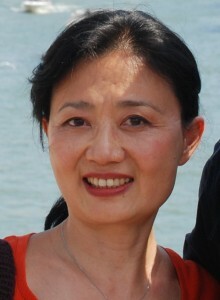 Member of the Chinese Medicine and Acupuncture Registration Board of Australia. Wei Wei speaks fluent Chinese and English. Initial $95 , session length 45 to 60 minutes. Follow up $75, session length 30 to 40 minutes. To cancel an appointment please click here.